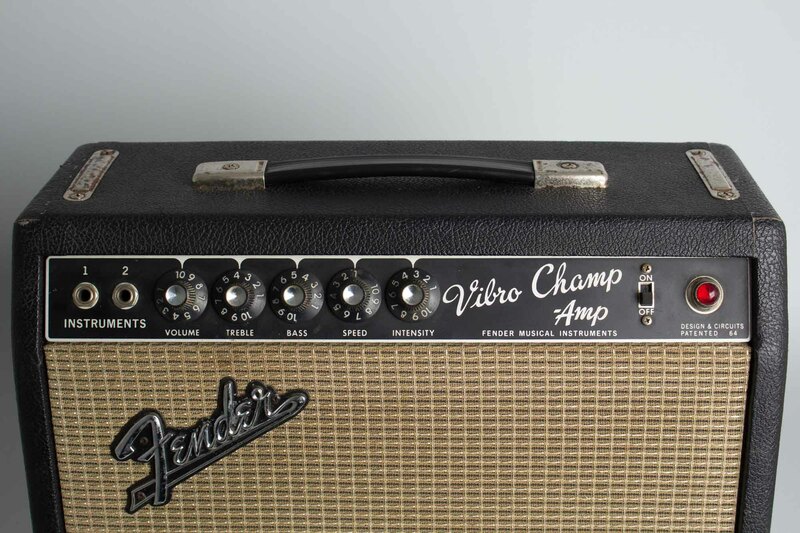 Fender Vibro-Champ Model Tube Amplifier (1967), made in Fullerton, California, black tolex covering finish. Height is 14 in. (35.6 cm. 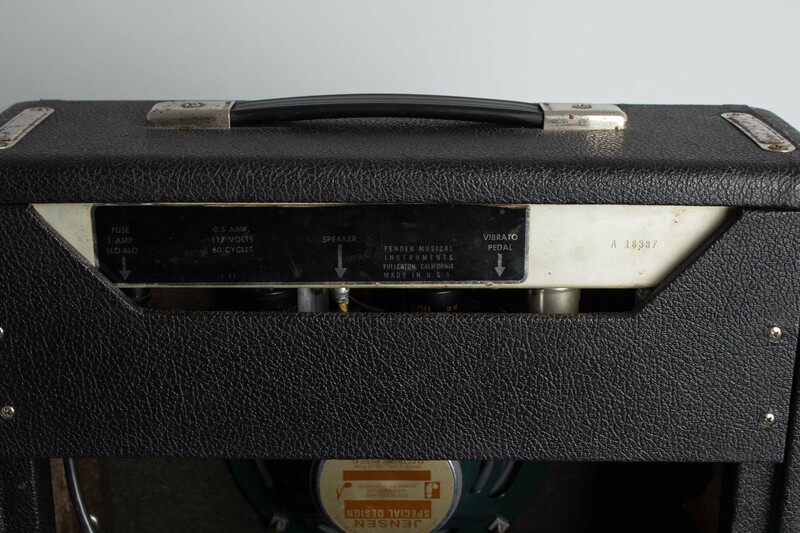 ), 17 in. (43.2 cm.) width, and 7 in. (17.8 cm.) deep. This little blackface beauty is nicely original and relatively clean overall, with some light wear mostly centered on the top. 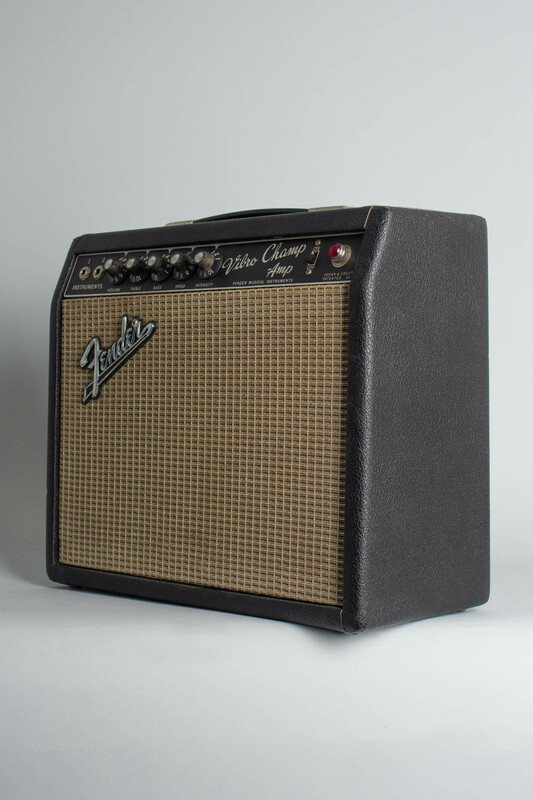 There is some scuffing to the Tolex mostly on the top edges and minor corrosion to the handle mounts and chrome chassis straps, cosmetically everything else shows only light wear. 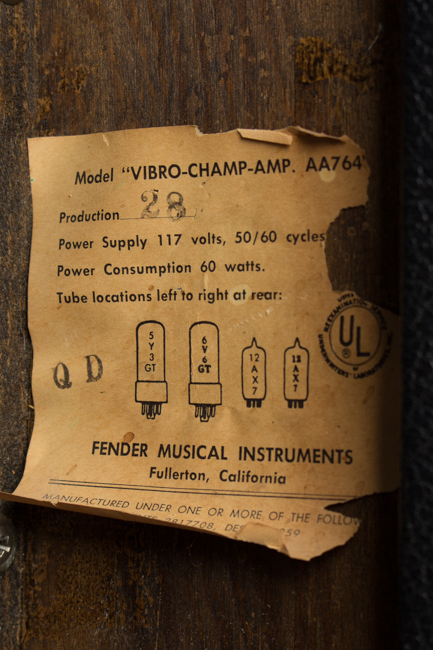 Internally the transformer code is 606-6-46 and the Tube chart stamped "QD" indicating assembly in April 1967. 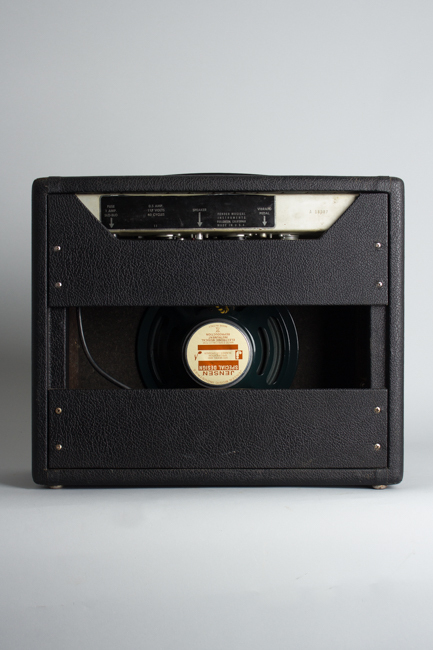 It is fitted with a new repro Jensen speaker, a newer 3-prong and can multicap, has had light cap work and sports a mixed set of tubes. 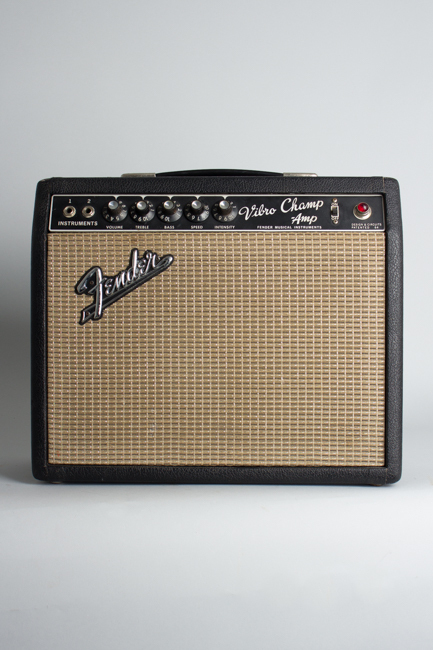 This is a good sounding example with a strong output and a nice growly sound when cranked! Overall Excellent - Condition.